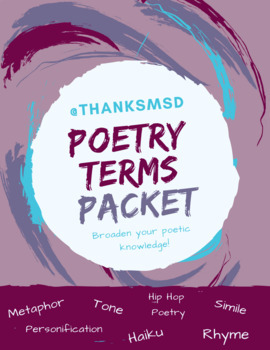 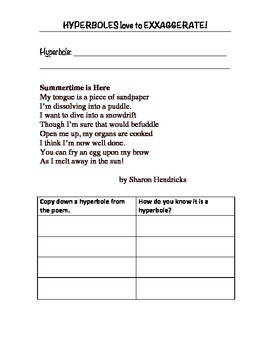 Great poetry packet for Middle School or early High School students, covering figurative language, poetic devices, and poetic forms, including haikus, odes, and hip-hop poetry! 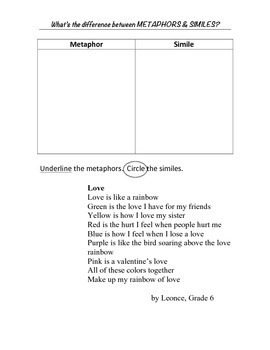 This packet allows students to both learn AND practice skills of poetry term identification and analysis with poems inside the packet. 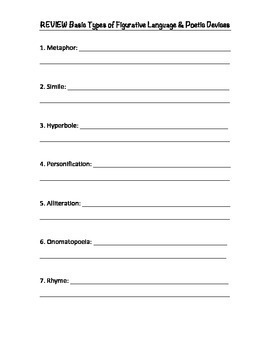 This resource can be used as a guide for an entire class, small group, or independent learning.